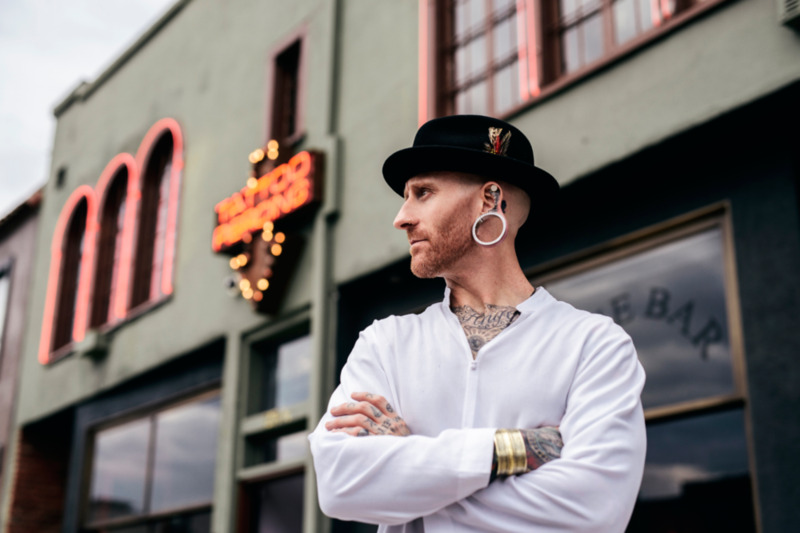 Situated on Melrose Avenue amidst the influential locale of Hollywood, Body Electric opened its doors in 1992 and has been a prominent provider of specialized artistic tattoo design, consulting and superior piercing services. A sanctuary of creative self-expression, the studio withholds a zero-attitude policy. Each client is treated with integrity and respect, and we do not discriminate against race, nationality, religious background or sexual orientation. We blend old-school values with modern safety standards. Our tattoo and piercing artists are fully licensed and highly knowledgeable. Please do not hesitate to stop by or contact us with any questions. We are looking forward to meeting you. 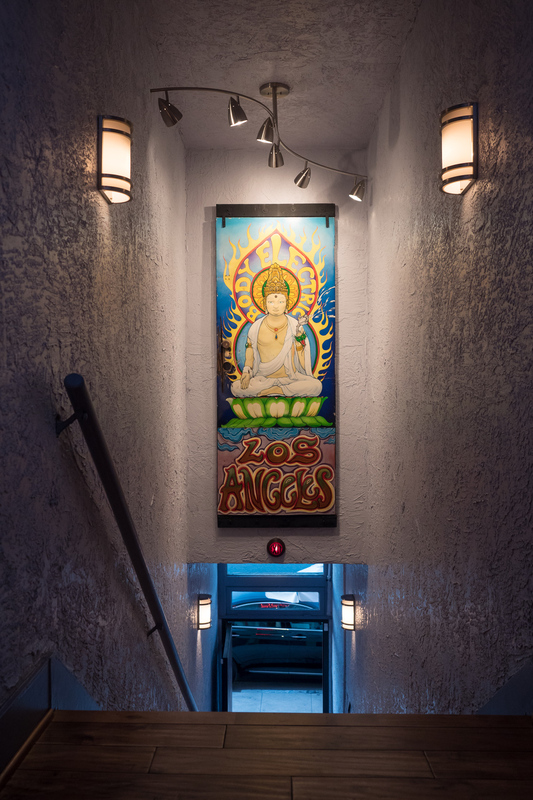 The original Body Electric front door is on display in the staircase hallway. You can see the slash marks near the door handle where the LAFD had to cut to open the door. The studio was on fire and, but the door was still welcoming all. 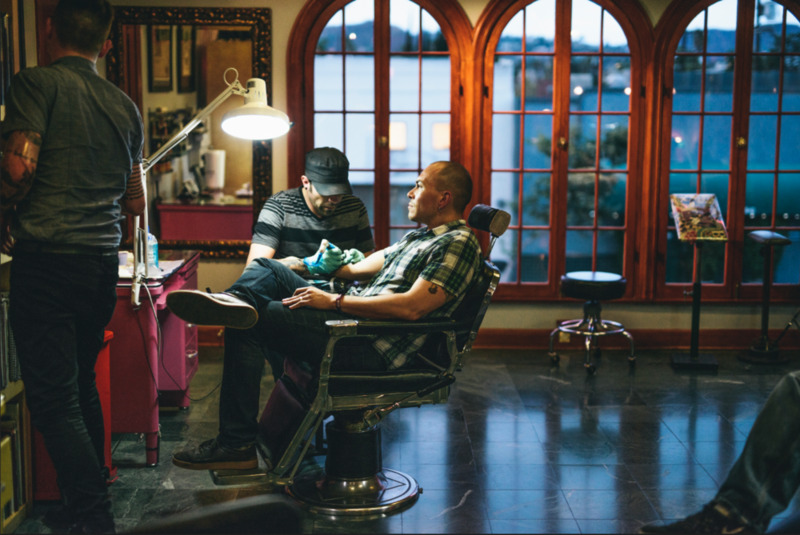 A former marine, top network integration engineer for Nortel and long-time client to Body Electric, Brian Keith Thompson never envisioned owning one of the most reputable tattoo shops in Los Angeles. But after being dealt a bad hand, he was released from prison and set out to transform his life. Brian turned to Body Electric to set himself free of jailhouse tattoos and immediately fell in love with the studio. After six years of loyalty and rapport with the artists, an opportunity of a lifetime fell into his lap. Brian was offered Body Electric and two weeks later, the shop became home. A shop dedicated to optimal client services and positive vibes, Body Electric has raised the bar for studios in LA—providing an approachable, relaxed and astonishingly clean shop to clientele. We go beyond what is expected, our attention to detail is flawless and we are incredibly good at what we do.